Opinion: 90,000 Vodka Bottles Were Bound For North Korea, While Its People Starve NPR's Scott Simon reflects on the seizure of 90,000 bottles of Russian vodka destined for North Korea's elite. A look at what this means for the regime's treatment of regular citizens. Vodka bottles were seized by the customs authorities in the port of Rotterdam, on Feb. 26, destined for North Korean leader Kim Jong Un and his army command. This week, just as President Trump and Kim Jong Un prepared to meet in Hanoi — for what turned out to be their abrupt and unproductive summit — Dutch customs officials discovered and seized about 90,000 bottles of Russian vodka from a Chinese ship destined for North Korea, according to Algemeen Dagblad, the Dutch newspaper. Maybe I didn't need to say that Algemeen Dagblad is a Dutch newspaper. The ship was officially bound on a course for China. But acting on a tip and based on prior experience, Dutch officials believed part of the cargo was en route to North Korea. When officers boarded the Nebula, they found the thousands of bottles of contraband Stolbovaya, concealed under the fuselage of an aircraft. U.N. sanctions prohibit the importation of luxury goods into North Korea. The idea is to try to deprive North Korea's ruling elite of toys and bling — deluxe cars, large-screen TVs, Rolexes, furs, and top-shelf liquor from around the world — to induce them to close down their nuclear weapons and ballistic missile programs. But extravagances are smuggled in anyway, to sustain Kim Jong Un, and reward his allies. At the same time, a 2017 report by FAO, the Food and Agricultural Organization of the United Nations, says that two out of every five North Koreans are malnourished. Children, and pregnant and nursing mothers are especially vulnerable. In 2017, a young North Korean soldier, later identified as Oh Chong Song, was shot several times as he ran across the demilitarized zone, to escape into South Korea. The South Korean surgeons who battled to save his life found dozens of parasitic worms inside the soldier's stomach, some as long as 11 inches — a shocking sign of the desperation and disease in North Korea. Those of us who have reported from countries under sanctions often learn that the elites in a tyranny usually have the resources and connections to maneuver around embargoes and boycotts. They still manage to get hold of the likes of fillets, Champagne, and Louis Vuitton bags; regular citizens are left to scratch and suffer simply to survive. 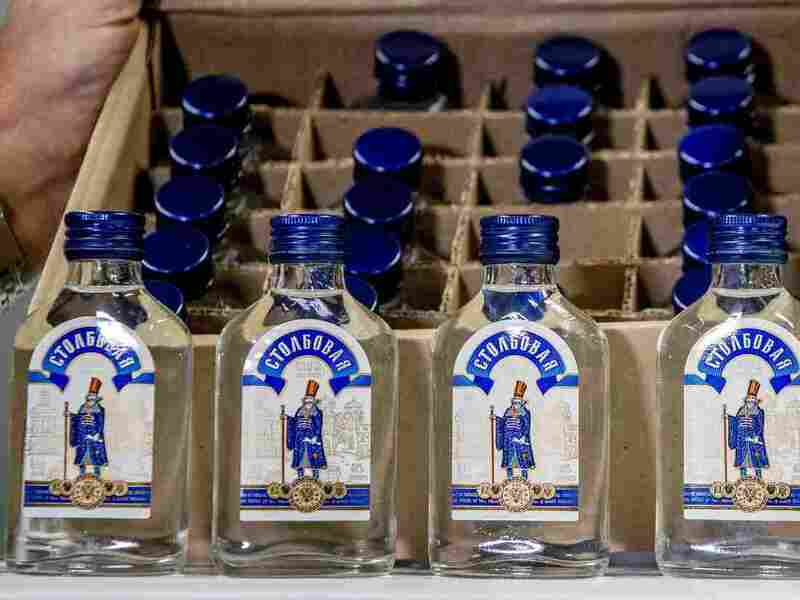 Those 90,000 bottles of Stolbovaya may tell us not just about the taste North Korea's rulers have for vodka, but their disdain and indifference for the people they rule.